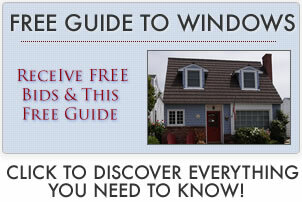 Window muntins are simply the strips that separate the glass in windows or doors into smaller sections. Window muntins can be real, in the sense that they actually connect separate panes of glass to form a larger window. More likely, if you are looking at new products, window muntins will be false. This means that they are strips either within a multi-paned section of glass or on the exterior of the glass that make it look like the panes are actually made up of smaller panes of glass. They are very often seen on single and double hungs. Initially they were designed as a way to turn small panes of glass into a larger window by connecting the small panes together. Back in the 19th century, this was a less expensive way to construct large windows than using a solid, large pane of window glass. In modern times, it is now less expensive to use one large pane, rather than connecting smaller individual panes. Since many people still like the traditional look of divided light that window muntins offer, false versions can be placed on the exterior of a large pane of glass or within the glass itself (if it is double-paned) to produce the same look. Just about any material that is made to construct window frames can also be used to create muntins. Traditional window muntins were almost exclusively made from wood, but you can now find muntins made from aluminum, metal, PVC or plastic. If they are placed on the exterior of a glass pane, they are typically made from the same material as the window frame itself. If they are placed within multi-panes, they are more often made from PVC or metal. All window muntins provide the same general look – the traditional feel of divided light. But, there are many different styles that create that look. As mentioned, muntins can be real or false. They can be made from different materials. They can even be permanent or removable. Broadly, muntins are group under replacement hardware because they are more of an add on than a core part of the window itself. These truly separate individual small panes of glass. The muntins are usually made from wood and often are used on wood windows. False muntins make a window look as if it is made from a series of smaller panes, but it is in fact made up of only one large pane. This false style can be fastened to the exterior of the pane or can sit between the panes of glass. Exterior muntins can be permanently affixed to the window or can be removable. Interior muntins are permanent and can be selected in a variety of materials or colors. Interior muntins can sometimes affect the energy efficiency. The exterior versions can make a harder to clean the panes if they are not removable. Removable muntins are typically on the outside and can be easily removed if you need to clean, or even paint, the window. They are held in place by clips or screws. One additional benefit to removable muntins is that you can choose to take them off completely if you want a more contemporary look. There are as many design options as there are types of muntins (maybe even more!). Colonial windows have muntins separating the glass into equal sized panes, usually in six or nine sections. You will see these referred to as 6-lite or 9-lite windows. There are other options as well. Prairie muntins, for example, have a large pane in the center and then separate the window into small panes in the corners. Manufacturers can also create a variety of different custom designs on just about any sized window. They come in different materials, different thicknesses, different colors, and different finishes.